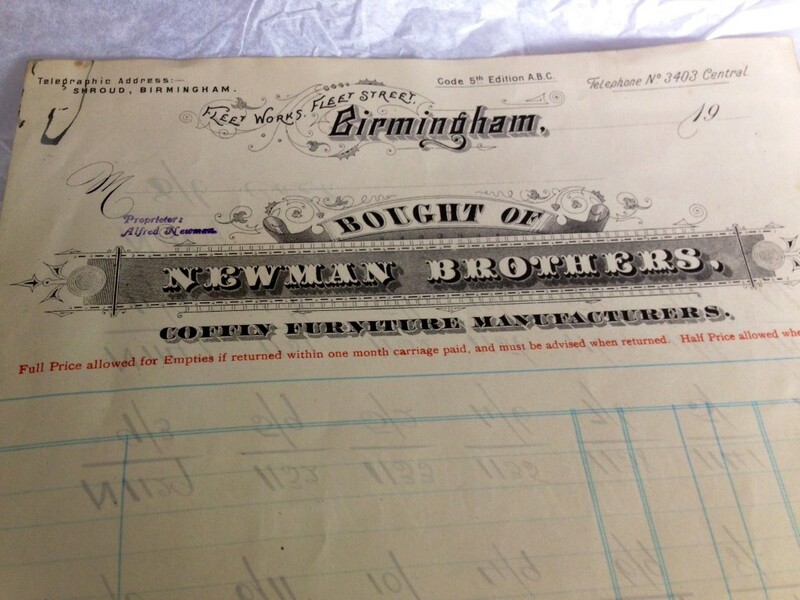 The archive at Newman Brothers is for the most part still ‘undiscovered.’ By that we mean that there are many documents that still need to be researched and transcribed, which will eventually allow us to build a better picture of the company’s history. 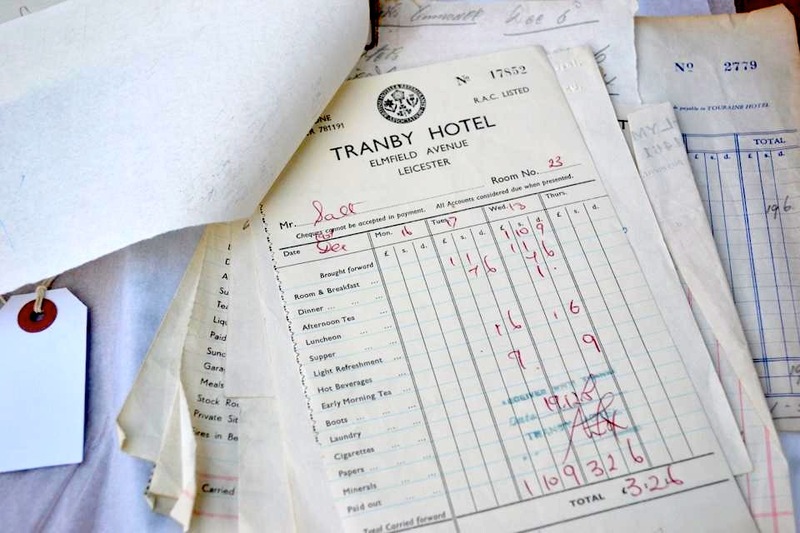 Although Newman Brothers’ history spans just over a hundred-year period, most of our paper archive dates from the 1930s onwards, but nevertheless we have still been able to build a history of the character of this company from other sources. For now though, take a look below at just some of the documents that have caught our eye and stay tuned for many more discoveries to come as we dedicate the coming months to unearthing more information about this historic company. Cyril Salt was a travelling salesman for Newman Brothers, who became a director and major shareholder. The group of documents here relate to Mr Salt’s travels across the country, including visits to Plymouth, Penzance, Cardiff, Leicester and London. It was Cyril’s job to find new customers and to come back with new orders and Newman Brothers’s employees travelled far and wide to secure these new contracts. The 1950s marked the end of any direct involvement by the Newman family, as management of the business and the link to the family really ends in 1952, when Horace Newman, Managing Director died. The late 1950s have been described by ex-workers as a period of renewal priming the company for their heyday in the 1960s, as new product lines were introduced. No doubt, the job of the travelling salesman was central to this success as they drummed up new partnerships and new business. 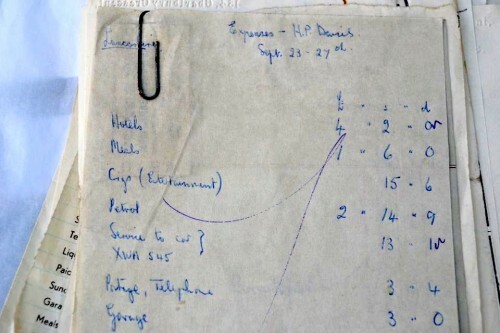 But more intriguing than that, take a look at what counted as entertainment and legitimate expenses back in 1957 for a Newman Brothers’ travelling salesman! 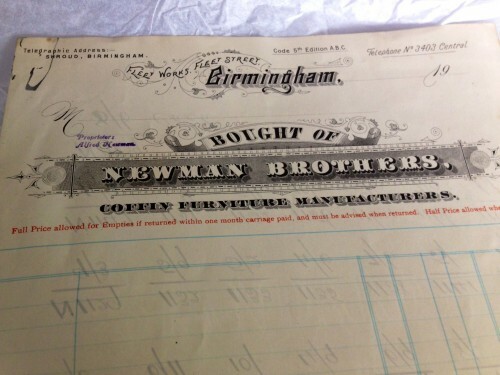 Newman Brothers operated on an international scale, selling their goods all over the world. 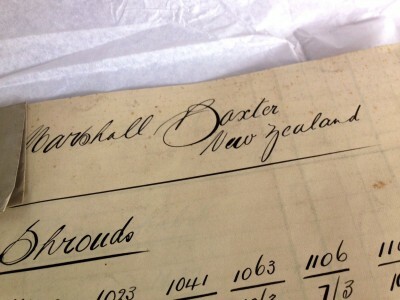 As this order for shrouds proves, they even had trade connections in New Zealand, selling to a company called Marshall Baxter, who were presumably funeral directors. We’re not sure of the date, but early analysis seems to point to the 1930s. Thanks to the exemplary research undertaken by a volunteer of ours, Hilda MaClean, we know that in the Melbourne area at least, most coffin furniture came from Birmingham during the 1840s onwards, so it’s no wonder that Newman Brothers had Antipodean dealings!